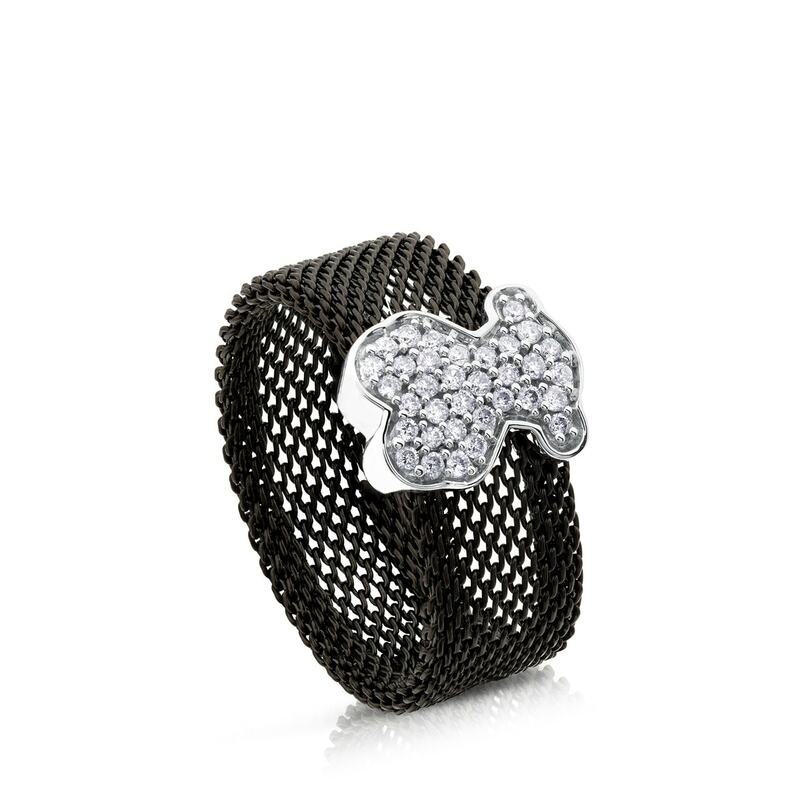 IP black stainless steel and 18kt white gold TOUS Icon Mesh ring with diamonds. 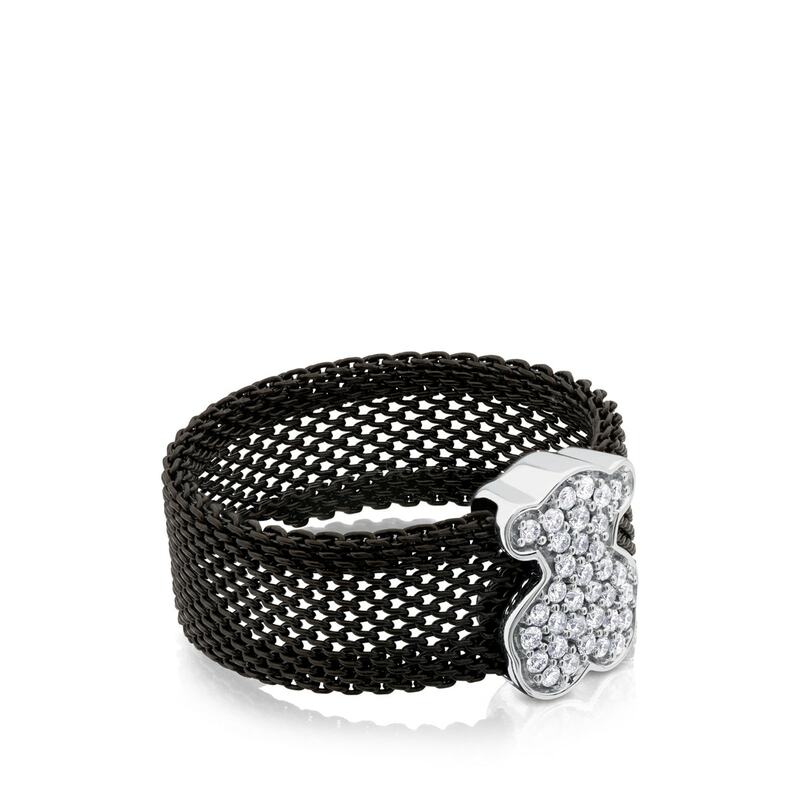 Total carat weight: 0,20kt. Motif: 1,1cm.